● Diploma of Health Science (Remedial Therapies), 2001. ● Certificate IV in Remedial Therapies (Massage Therapy), 2003. 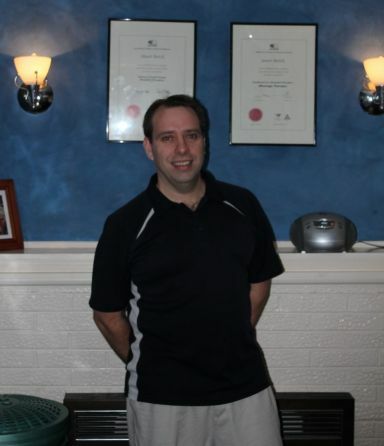 He is also a member of the AAMT (Australian Association of Massage Therapists Ltd.) as a Remedial Massage Therapist and is continually updating his education to ensure clients are receiving the most up to date methods possible. Stuart has been servicing the Croydon area since 2004 and continues to treat a regular client base with most new clients coming from word of mouth referrals. His services are available 6 days a week by appointment. Stuart offers the Croydon area a specialised service in the treatment and release of postural and work related muscle tension. He will treat clients for many general and specific conditions. Some of which may include; Headache, Stress, Back pain, Joint issues, General and specific muscle tension, Flexibility and Musculoskeletal injuries. Each massage technique used is tailored to suit the condition of the individual and the type of complaint. There are individual techniques for sports, remedial, deep tissue, stretching or relaxation. These can vary from being very gentle to very strong, but always within individuals comfort levels. Treatment is always conducted with informed consent and the knowledge that it may be altered any time. For further information about massage, please visit www.aamt.com.au. We can process most health fund rebates, along with credit card and eftpos payments through our Hicaps terminal. Any funds that do not participate in the Hicaps system, will need to be processed directly with said fund. Stuart is also a preferred provider in Medibank Private’s members choice network.